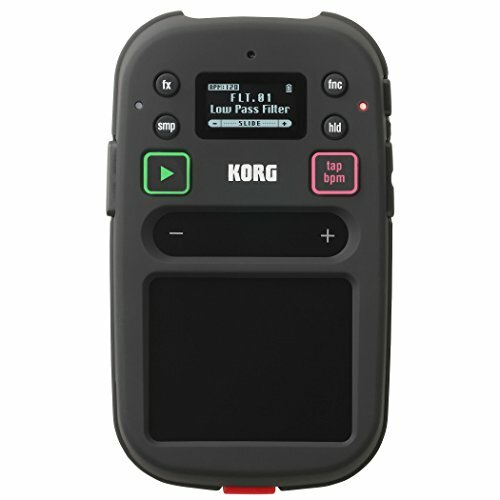 After great success achieved by original Kaossilator pocket synthesizer, Korg came with improved version named Kaossilator Pro. And as the name promises, it should give you opportunity to mix music in more professional way. But how is the reality? Can Kaossilator Pro really stand as a fully professional device? Let´s have a closer look at it! So let´s start with dimensions. Kaossilator Pro comes with 21 x 22,5 x 4,9 cm sizes and it´s therefore definitely larger than the original model. There is also one more less comfortable thing – the Pro model cannot be powered by batteries, it requires DC adapter. However, this may not be considered as a major disadvantage, simply because this device is not designed to be fully portable as first model. 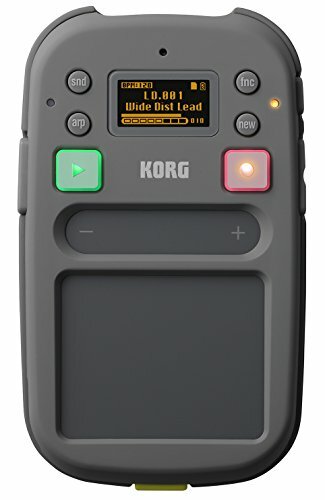 If you ever used or saw original Kaossilator KO-1 in use you would be probably familiar with layout of buttons, although there are some new ones. For instance, there is dedicated slider and button for arpeggiator so use of it is more comfortable. You will also find more input and output connections on the bottom edge of the device. What is new is possibility to connect MIDI input and output, memory card of SD type and there is also USB connection to synchronize Kaossilator with your PC. And how is it for real use? Well, let´s say that it´s very intuitive and once you learn how to handle it, you will immediately fall in love with it. 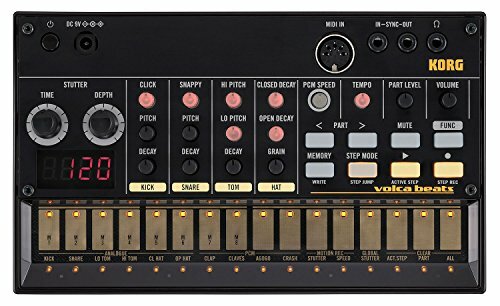 The main operation is done via large touchpad with separate X and Y axis to adjust your final sound, which can be put into four separate loops. Switching of loops is done by four buttons below the touchpad. Now let´s see what you get in matter of sounds. All you get is 100 samples known from original KO-1 unit supported by 100 completely new sounds. Adjusting sounds is done simply by swiping your finger on touchpad, but unfortunately, you never know what exactly are you going to adjust if you do so, and there is no possibility to connect external controller you are more familiar with. So, before you step up on the podium with Kaossilator Pro we strongly recommend to dive in testing what it offers. Otherwise the performance is probably not going to be as good as you expect it. All, in all, you can achieve very interesting output, but only as, long as you stay in restricted lines. There is absolutely no possibility to tweak it. On the other hand, you will be happy about arpeggiator, which is more flexible than in original KO-1 unit. Now it has it´s, own slider and does not support preset options, so it´s up to you how are you going to set it up. There is also very interesting option to record some external stuff through microphone. All what you record is automatically adjusted to be used in Kaossilator. Then you can add filter, adjust it more and mix it to your tape. Touchpad unfortunately does not support multitouch gestures. It only responds to one finger and trying to use two or more fingers causes strange results. What a shame, because multitouch would give the final sound a brand new dimension. MIDI input and output ports suggests even more fun with Kaossilator Pro, but it´s not as good as it should be. First, of all, you must convert notes to CC if you want to play MIDI. This is fortunetely quite easy to achieve by some great freeware programmes. The second problem is that Kaossilator does not adjust MIDI to, it´s tempo properly and it´s more difficult to tune it up. In conclusion Kaossilator Pro is solid device. It has some restrictions and limits you can´t exceed, but once you get used to it you can create really fantastic output.